There is free WIFI in all of Nautica so make the most of it and catch up on your e-mails at one of our cafes. Nautica has full disabled access and disabled loos. Nautica shopping centre is located directly at Tallinn port and only 500 meters from Tallinn old town. There are a number of bus stops around Nautica including those at the Port at D-terminal (local bus number 20) and A-terminal (local bus number 2) and those on Narva Mnt. Street and Mere Pst. Street. For bus timetables, check out the website www.peatus.ee. If you are coming by car, the entrance to Nautica can be found off Ahtri Street and Paadi Street. Nautica has its own car park for our customers with 255 parking spaces. If you are coming on foot, there is a footpath that runs from Ahtri Street, Lootsi Street and Paadi Street to Nautica. Nautica opened its doors 19th October 2017 after a radical expansion and renovation, having previously been known as Norde Centrum. Nautica has an entire gross leasable area (GLA) of 18,500sqm and approximately 60 shops in total. Boasting the only Rimi hypermarket in central Tallinn, new leisure and entertainment facilities and extensive dining options coupled with its unbeatable location between Tallinn old town and the port, Nautica provides for a great shopping experience under one roof for tourists and those living and working in the area. Nautica is one of the shopping centres owned by Osaühing Capfield and was designed by lead architect Mark Anders of 3D Reid Ltd UK. 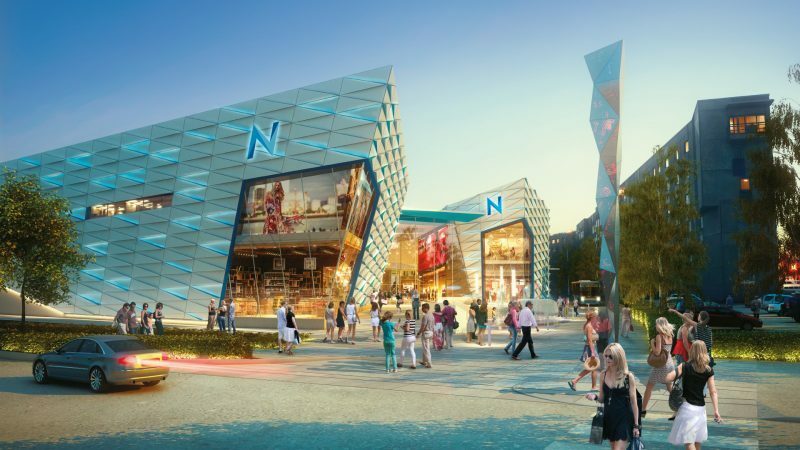 Capfield is owner and developer of shopping centers in Estonia. The Capfield portfolio consists of six retail centers in Estonia with a gross leasable area (GLA) in excess of 80,000 m2 as well as various land plots scheduled for development. The Capfield portfolio is one of the largest retail portfolios in Estonia with coveted city center and suburban locations. Major anchor tenants represent an impressive 65% of the portfolio’s GLA and include well-known local and international brands such as Bauhaus, Maxima, Prisma, Rimi Hyper, Selver, H&M, LPP fashion group brands such as House, Sinsay and Cropp, SportsDirect.com, Baltika fashion group brands, Denim Dream, Jysk, Euronics and Apollo book stores.